1.Smart Screen: Autel Maxisys Pro MS908P comes with a whopping 9.7 inches IPS LED-backlit capacitive touch-screen with resolutions of 1024 x 768 pixels. As a result, it provides ultra-clear display of contents, to the users, with glossy wide-screen. The screen also supports multi-touch. You can use up to 5 touches at the same time. 2.You can also enable a virtual on-screen keyboard with this device. It saves the space and gives wider display area. 3.Auto Focus Camera: The product comes with built-in 5 mega-pixel rear camera with a flash-light. The camera provide high-quality images as it has auto-focusing ability. 4.Quick Battery Recharge: The device has an 11000 mAH-3.7v rechargeable battery made up of lithium polymer. This ensures up to 8 hours of continuous operations. It takes just a couple of hours to recharge the battery that means another 8 hours of operations. 5.Super Fast Performance: The device runs on Android 4.0 Ice-cream Operating System with multi-tasking feature. The device has an extra-powerful Cortex-A9 Samsung Exynos 1.4 GHz quad-core processor providing unrivaled speed performance. The device system boot-ups in 20 seconds that is approximately 5 times faster than any other such product. 6.Big Storage Capacity: The diagnosing tool has 2 GB DDR-3 RAM that dumps huge amount of temp files and supports frequent live streaming. The dedicated RAM avoids the device-hang problem and ensures smooth operations. The 32 GB Internal Sata Hard Drives stores all the detailed history of your clients. 32 GB storage space is enough for medium and big repairing houses. 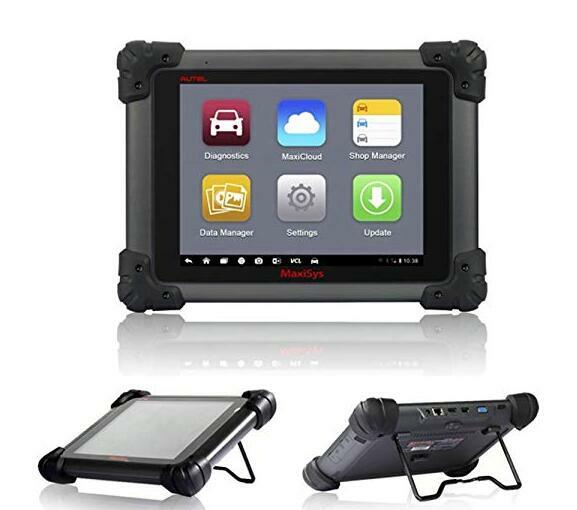 7.Lastest Technology: The Autel Maxisys Pro equips with the latest AutoVIN technology with advanced Auto-Scan functions to identify CAN-Enabled vehicles, in one touch. It displays the data in the form of text and graphs for efficient analysis. The device can be claimed as the most intelligent system as it scans all the diagnosable ECUs on vehicles. In the nutshell, it’s not just an engine scanner. 8.Fast Data Transfer: The package comes with both dual band (2.4 GHz and 5GHz) 802.11n Wi-Fi technology and long range class 1 Blue-tooth connectivity that provides it’s users with an ultra fast Vehicle Communication Interface (VCI). You don’t have to wait. Just plug it into the OBD-II dashboard and it will diagnose with in seconds. 9.OE-Level Coverage: The device covers the most extensive OE-Level Diagnostics. It will save you the hassle of contacting the car dealer for any un-identified engine error. OE-Level library contains every possible error codes. 10.Reliable ECU Coding: The device comes with a coding function to track the vehicle control modules i.e. ECUs with some extra parameters. There is a provision for reliable coding and safe performing environment. 11.Future Proof: The Autel company frequently releases new versions of the software and engine code library that makes it compatible for newly launched vehicles. If any “Unknown” or “New Vehicle Found” error is reported, the custom software updates are made available to the users within 48 hours. It is like, every customer is treated like an elite by the company. 12.Lightweight & Compact Size: The total weight of the device is 28.9 Pounds. That makes it an easy to carry gadget. The product has been designed to be carried single handy yet it doesn’t mean it will fit in your pocket. In particulars, the product dimensions count as 9 inches in length 18 inches in width and 7.6 inches in height. 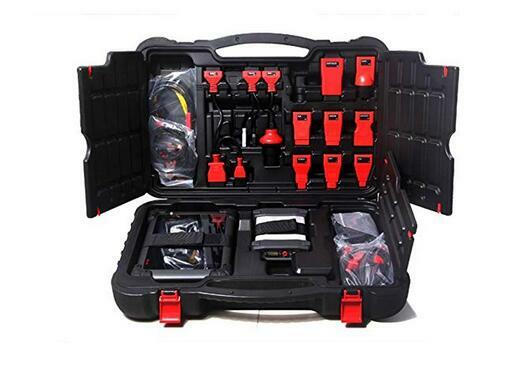 13.Additional Features: This professional engine scan tool has many other fabulous features such as 2.0 USB connector, microphone, dual speakers, 4-band 3.5mm audio jack, Accelerometer and Ambient light sensors, RJ45 Ethernet connection, 3G/4G compatibility, WDMCA module and many more. Also, it supports multi-languages including English, French, Spanish, German, Russian and Portuguese. What else are you looking for? 14.Remote Technical Support: “Autel” is known for it’s after sales services. If you face any problem with the device, just give them a call and a technician will be there to assist you. The technician can access your device remotely. That leads to faster resolutions and high satisfaction. The support is custom as well. 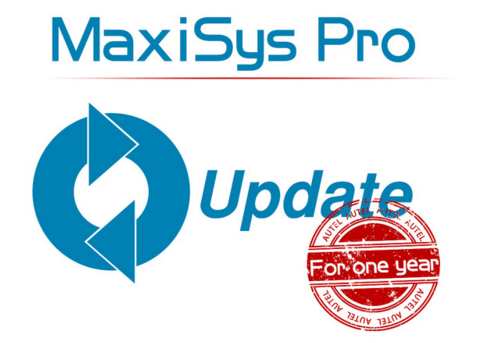 If the device has a non-resolvable fault, a custom software upgrade or replacement is provided as long as the warranty is not void. 15. 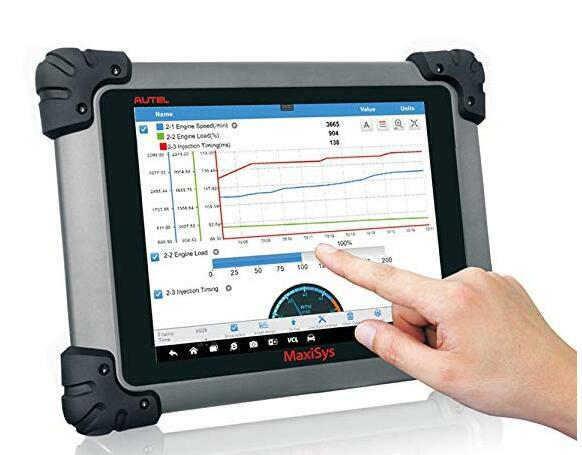 Free MaxiTPMS TS601 Testing Scanner with every purchase. It acts as a quick scanner or an additional scanner for your team mates. 16.Enables cloud-based data managing for saving records and notes. You can use any free cloud storage service as the files for scanned data are very small in sizes. Typically, in Killobytes.